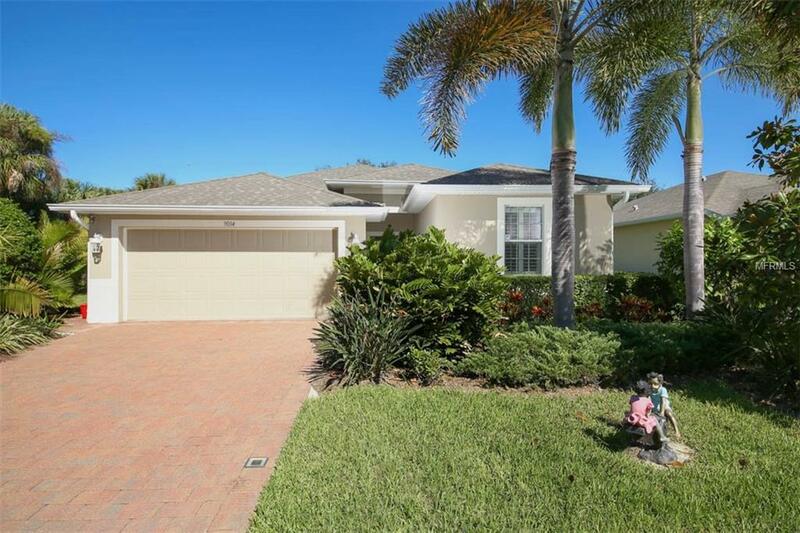 Waterfront, Pool home Pennington Place in quiet South Venice, Extremely close to Manasota Key Beach! Original owners with over $60,000 in upgrades. Spacious living and entertaining great room space, three bedrooms, two baths, inside laundry, two car garage. This cul-de-sac location is unmatched with an additional 3/4 acre of green space community maintained, no neighbors on side yard for your carefree enjoyment of nature. Fish, canoe, kayak all from your backyard in the public owned lake/Canal it's over a mile long with beautiful lighted fountain. The saltwater heated pool back lanai has pavers and stunning views of the lake. Call for showing appointment. The furniture is negotiable with a separate agreement. Additional Water Information Fountain Views Directly in Back Of The Home. Listing provided courtesy of Atchley International Realty Llc. © 2019 My Florida Regional Multiple Listing Service, Inc. All rights reserved. All listings displayed pursuant to IDX. All listing information is deemed reliable but not guaranteed and should be independently verified through personal inspection by appropriate professionals. Listings displayed on this website may be subject to prior sale or removal from sale; availability of any listing should always be independently verified. Listing information is provided for consumers personal, non-commercial use, solely to identify potential properties for potential purchase; all other use is strictly prohibited and may violate relevant federal and state law. Data last updated 2019-04-20T15:41:44.78.